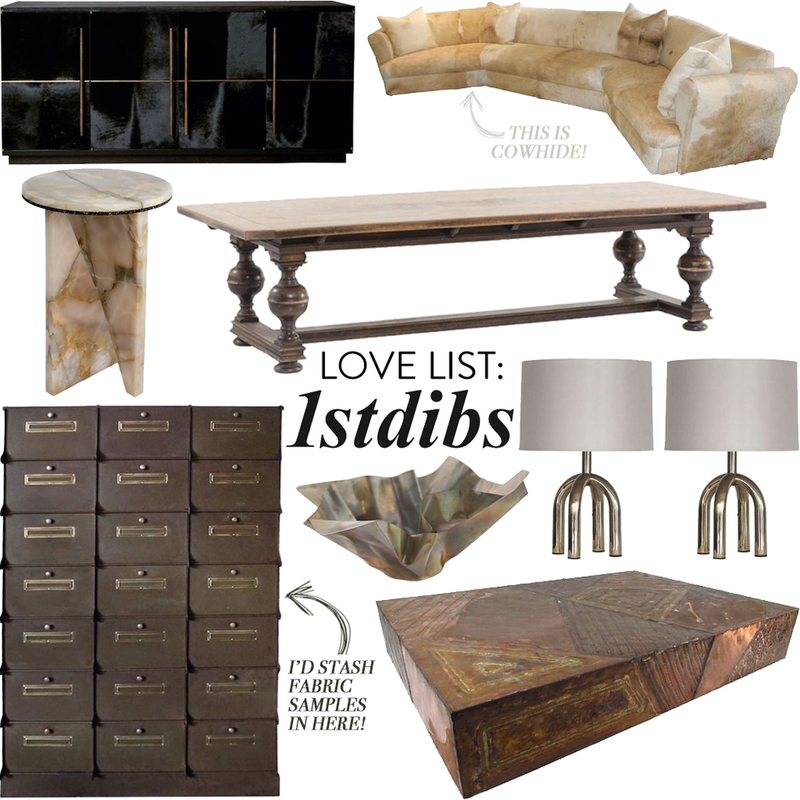 One of my favorite websites to peruse is 1stDibs.com. Scrolling through their site is like skipping through a design fantasy land. Full of vintage pieces and desired antiques, the items sold here are so unique you couldn't dream some of them up. From classic designers to little found gems, any time spend browsing through is an inspirational moment. While many pieces are rare and extremely expensive art pieces, it's not un an common treat to find pieces to collect for just $100 bucks or so. Items DO NOT last long (some of these could even be claimed before I get to click 'Publish') so when you find something you love and it's worth the splurge, buy it then and there! I'm starting a new blog series this fall called 'Cheap, Good' where I'll show you how to mix and match all these luxe, special pieces with conscious option to create a well-rounded, beautifully designed space. SIGN UP for the newsletter to be notified when that launches. I promise you won't want to miss it. Follow me on Pinterest to keep up with all my other 1stDibs finds that couldn't fit into this post!